Keeneland Shadwell Turf Mile 2014 Events & Fashion: This Saturday is the 29th running of the Shadwell Turf Mile. It is a grade 1 race with a 1 Million dollar purse. 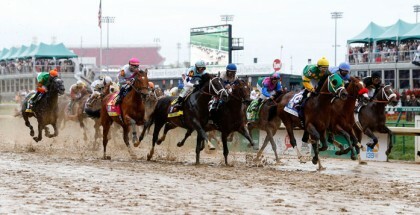 Keeneland will be hosting the big race event and the race is a part of Keeneland’s signature Fall Stars Weekend, which is a part of the Breeders’ Cup Challenge Series. 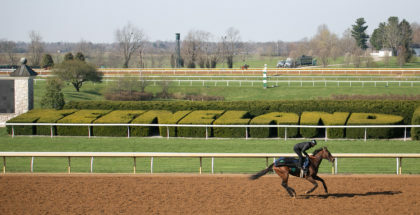 Keeneland is a beautiful and spectacular place to enjoy the day or the entire weekend. Heading out to the 2014 Shadwell Turf Mile at Keeneland will cater to families, couples of any age, or good friends looking to drink champagne and place a few bets! 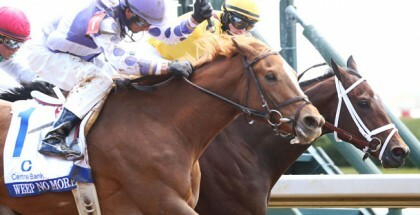 In addition to the big stakes races, Keeneland will also host other fun events and activities for race goers. Track patrons can tailgate on The Hill. There is a tailgate lot where you can watch the race and place bets. The Hill will host a wagering tent, big screen TV, music and local food trucks from 11:00 am-6:00 pm. There will also be live music from Clear Channel Radio from 12:00 pm-3:00 pm. There will also be a Blue grass band featured as a part of the Best of the Bluegrass event. The music will go from 5:00 pm-7:00 pm. Pastels or colors in pink hues will stand out at Keeneland against the backdrop of falling leaves for the Shadwell Turf Mile on Saturday, October 4, 2014. There will also be a craft beer tent on Saturday starting at 6:00 pm. The tent will feature local and popular brews and it is located in the North Terrace. It will close after the last race of the day. If you are an early morning riser, then every Saturday, including the day of the Shadwell Turf Mile, you can try out Sunrise Trackside at Keeneland. Breakfast with the works is served from 7:00 am-8:30 am in the trackside Equestrian Dining Room for $7 per person. Kids three-years-old and under eat for free. From 7:00 am-9:00 am there will be a Kids Club Corner for free children’s activities, including photos in jockey silks, face painting and other activities. Children who sign up for the Keeneland Kids Club get to meet the Kids Club mascot, Buckles. From 8:00 am-10:30 am tours will be held to highlight the features of the race track. The tours depart from the Welcome Wagon in the Paddock. There is also a Paddock Demonstration at 8:45 am and a Handicapping Seminar at 11:30 am followed by a Jockey Q & A at 12:05 pm. Reservations are not necessary for any of these great events at Keeneland. It looks like this Saturday in Lexington will be a pretty cool and crisp fall day, so it is the perfect time to try out a new fall trend. The fall trend that is still going strong from last winter and spring is the pastel trend. Think mint green, pastel pinks, and baby blues. Try a sweet short sleeve pastel pink dress. For a sophisticated look try a mint dress with a feminine sash. If pastel all over is too much for your taste, then try just a hint of pastel, like a baby blue cardigan layered over a dress or blouse. You can even try pastels in your accessories like pastel pointy toe t-strap flats or a pink pastel race day hat. Your pastel look will keep you looking sharp from breakfast all the way through the Shadwell Turf Mile!